Conversations in the Field: Where Are We Now? Summarizes the thoughts of more than a hundred American theater company leaders and independent artists. 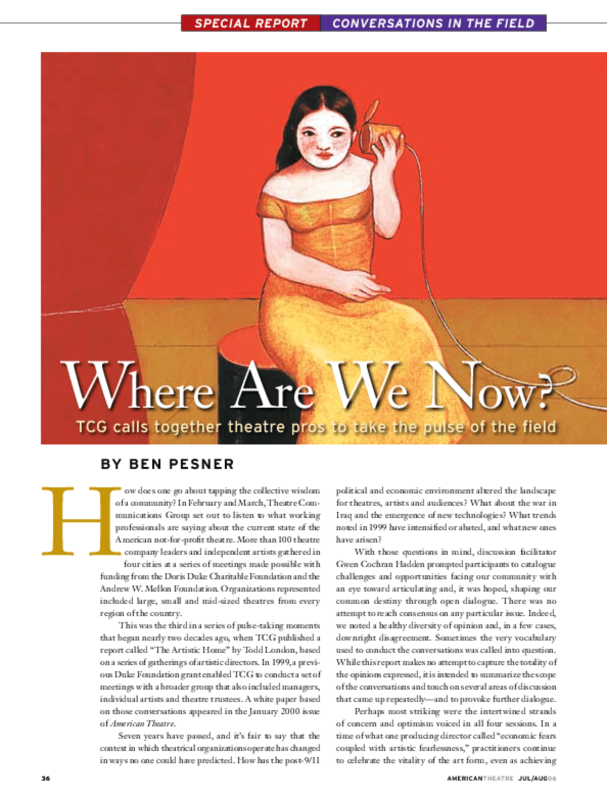 Details many of the challenges and opportunities facing the theater community in the post-September 11, 2001 environment. Copyright 2006 Doris Duke Charitable Foundation. Title: Conversations in the Field: Where Are We Now?